Idea for political video featuring former female veterans running for congress was hatched on the Vineyard. A new political advertisement born on the Vineyard features eight Democratic candidates running for the first time in congressional races across the nation. All eight are women and all have served in the military or in the CIA. In August, all eight converged at a backyard fundraising event in Edgartown to share their stories. Chilmark resident and documentary producer Laurie David had the idea for a new political advertisement. 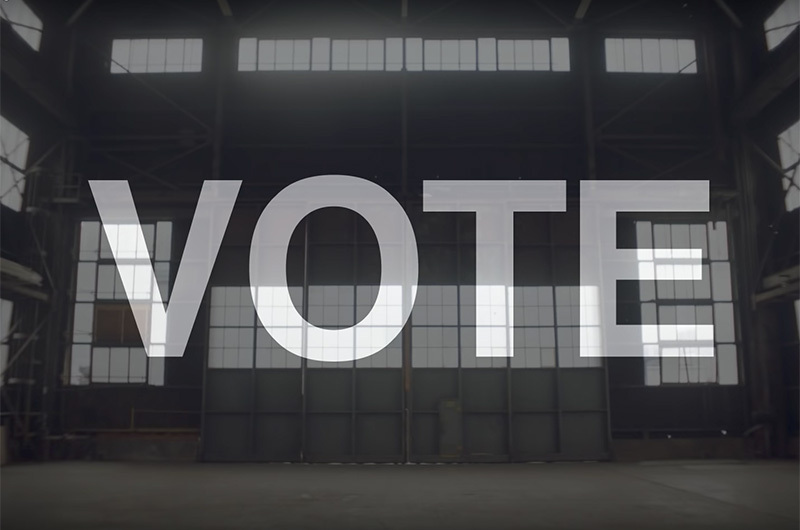 In the ad, the women stand in a large warehouse space. “Before I decided to run for office...” they say. Then they list the ways they have served their country intercut with photographs of the candidates in uniform. 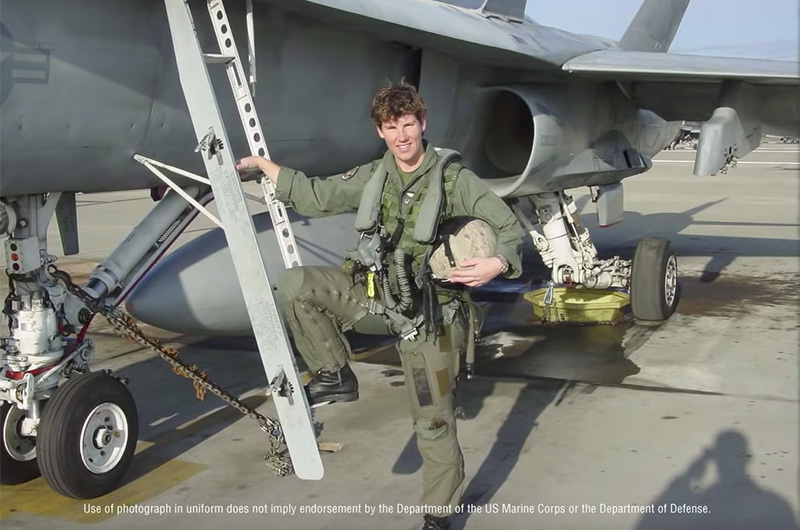 Amy McGrath is a Marine Corps veteran and was the first woman to fly an F-18 in a combat mission. Chrissy Houlahan served as a captain in the Air Force. Mikie Sherrill was a navy helicopter pilot. Gina Ortiz Jones served as an Air Force intelligence officer and is an Iraq war veteran. Elissa Slotkin is a former CIA analyst in the Middle East. Elaine Luria is a retired Navy commander and was one of the first women in the Navy’s nuclear power program. Abigail Spanberger is a former CIA operations officer. MJ Hegar is a former combat search and rescue pilot and was awarded the purple heart. “Are you ready to serve America?” Ms. McGrath asks. Bruce Springsteen’s song The Rising plays in the background. The ad ends with one word in capital letters: Vote. The video was funded by Democratic congressman Seth Moulton’s political action committee, Serve America. It has been shared on social media by celebrities from Mr. Springsteen to Jennifer Garner to Diane Keaton, and featured on Rachel Maddow’s show on MSNBC. Chilmark resident and documentary producer Laurie David said the idea for the ad occurred to her while sitting in the small audience at the August fundraiser in Edgartown. “Literally every single one of them was so unbelievable,” Ms. David said of the candidates. She had spent a busy summer and had been to a lot of political fundraisers, and she was feeling somewhat fatigued. Amy McGrath is a Marine Corps veteran and was the first woman to fly an F-18 in a combat mission. But listening to the women share their stories, she quickly forgot about her political jetlag. “It just became clear to me that 100 people was not enough to see this,” she said. She felt she had to find away to share their message more widely. A few days later, while selling vegetables for North Tabor Farm at the West Tisbury Farmers’ Market, she ran into producer and director Doug Liman. “I was like, Doug, Doug I have to talk to you,” she recalled. “I was buying onions, and she told me that she had just been at this event with these eight incredible candidates who were the new face of the Democratic party,” Mr. Liman told the Gazette. He knew just the person to direct the project. “He said, ‘my house guest this weekend is Amy Rice, this wonderful director who was the filmmaker shooting Obama’s run up to winning the presidency,’” Ms. David recalled. The three decided to meet at Ms. David’s Chilmark barn that afternoon to talk about the project, and a few months later they all converged again to shoot the video in Brooklyn. Most of the crew volunteered their time. Mr. Springsteen eagerly granted permission to use his song, they said. The enthusiasm Ms. David felt at the fundraiser continued to pervade the whole process right through to the ending credits. Utterly amazing! Maybe this will encourage others to reconsider the mudslinging and the attack ads and appeal to something other than hatred. It's long overdue. Kudos to Laurie, Doug and everyone else involved. The result of Tuesday’s voting is no longer in doubt.